Over the past few months, our membership secretary has been busy contacting people on our mailing list, telling them how many other people on our mail list are in their area, and asking if they would be interested in getting together to meet locally. 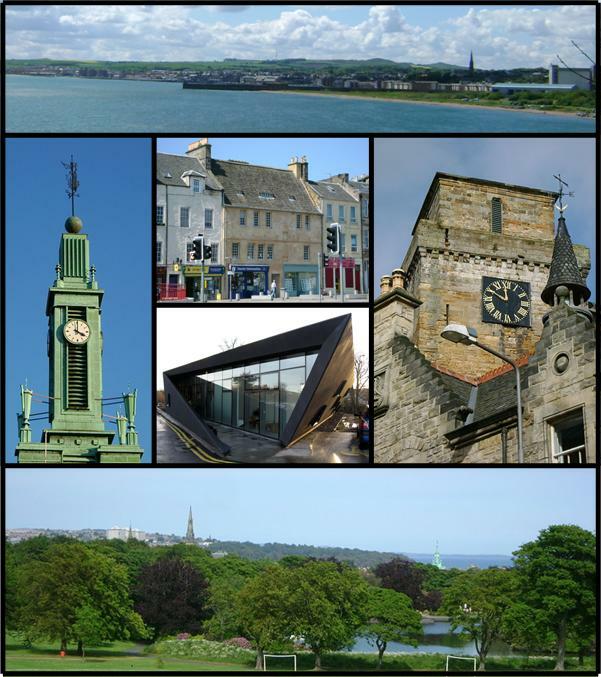 We’ve been speaking to people in Fife, Stirling, Hamilton & Motherwell, and Selkirk. We know that it can be daunting to set up a new group. 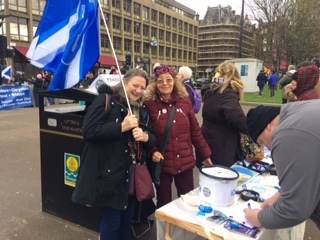 But we have people in our Edinburgh & Lothians Group and our Greater Glasgow Group who have acquired enough experience to offer a helping hand. We also have some funds which mean we can help new groups get off the ground with the expenses of hiring a meeting room or setting up a street stall. 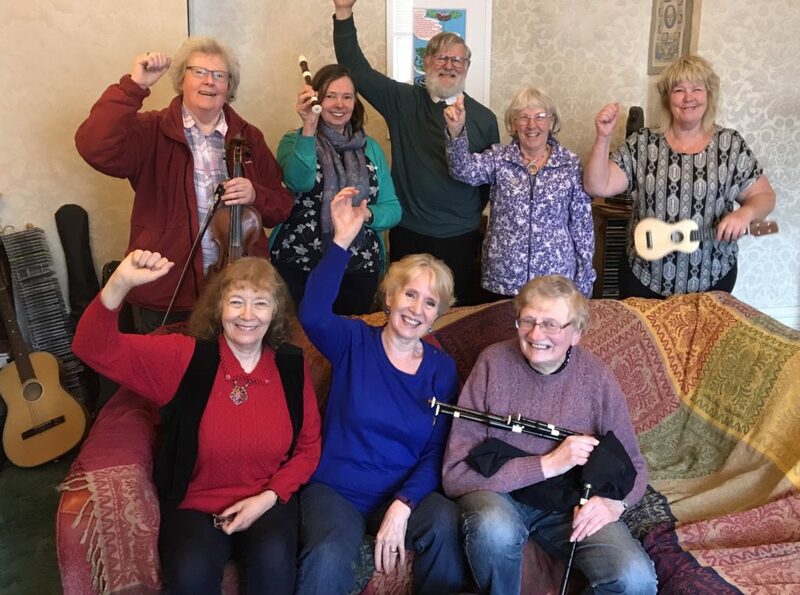 And it looks like we will soon have a local group based in Fife! It was great to have two Fifers, Craig and Lorna, coming over to our national coordinating group meeting this week. 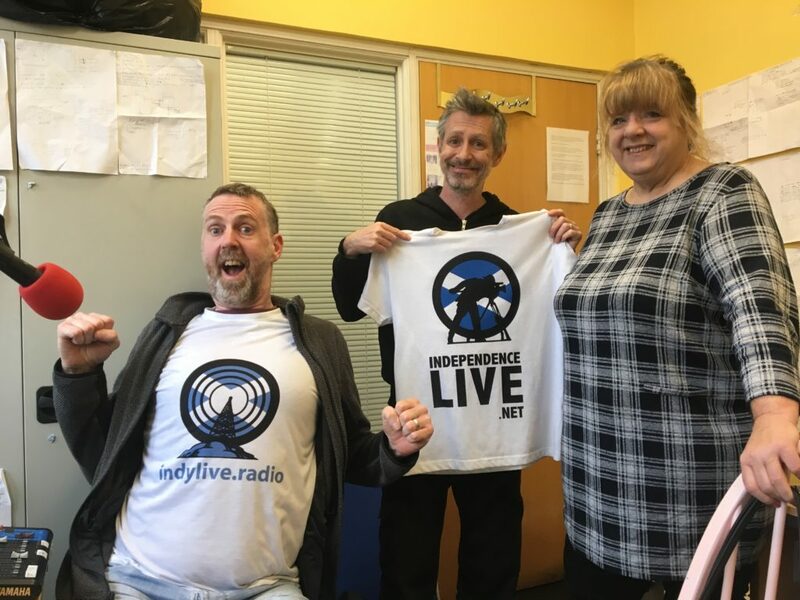 If you’d like to be put in touch with what’s happening in P4Indy Fife, then let us know using the contact form from the top of this page. 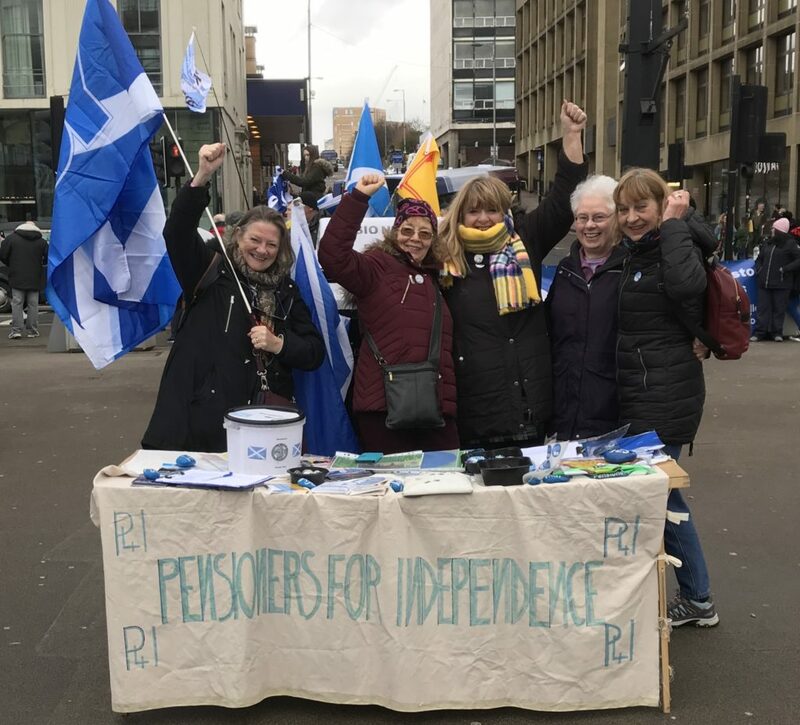 After Fife, it’s possibly that the next new group will be in the Borders. We have a meeting set up with supporters in Selkirk. This graph show where people on our mailing list live. 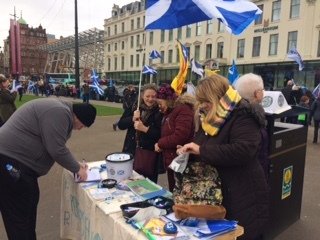 As you can see, there are some areas that have quite a showing of people interested in P4Indy but where there isn’t a local group. If you would like to find others in your area to link up with, use the Contact form at top of the page. 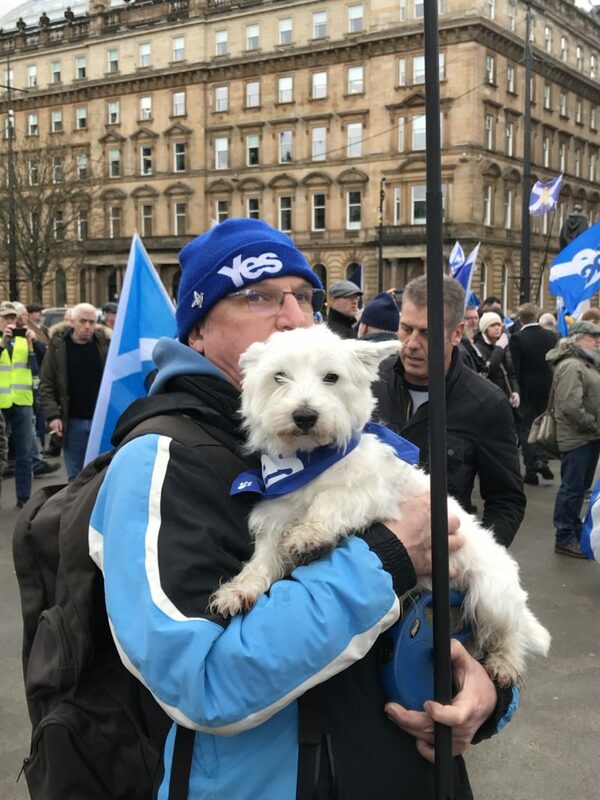 This entry was posted in Fife, Local Groups, The Borders on 20/04/2019 by MmH. Some months back we invited Bill Mills to speak to us about Reframing at the Glasgow P4Indy group. He gave us a good overview of what is involved in Reframing and you can find some of that here. The month after that we tried our own hand at reframing in a couple of short workshops. You can see what we came up with here.…. and one thing we found out is that reframing is quite hard to do! Since it is hard to do – for us beginners, anyway – I was very pleased to hear from June Maxweel the other day that she has a set of short podcasts called Subtle Signposts which back up what we learnt from Bill, expand on some of his topics, and develop others. I heard June speak at the National Yes Registry Day in Stirling last autumn and liked her approach. In these podcasts she focuses on one aspect of Reframing at a time. I’m currently half way through them and think they will be very useful. This entry was posted in Resources, Videos / Audio on 13/04/2019 by MmH. 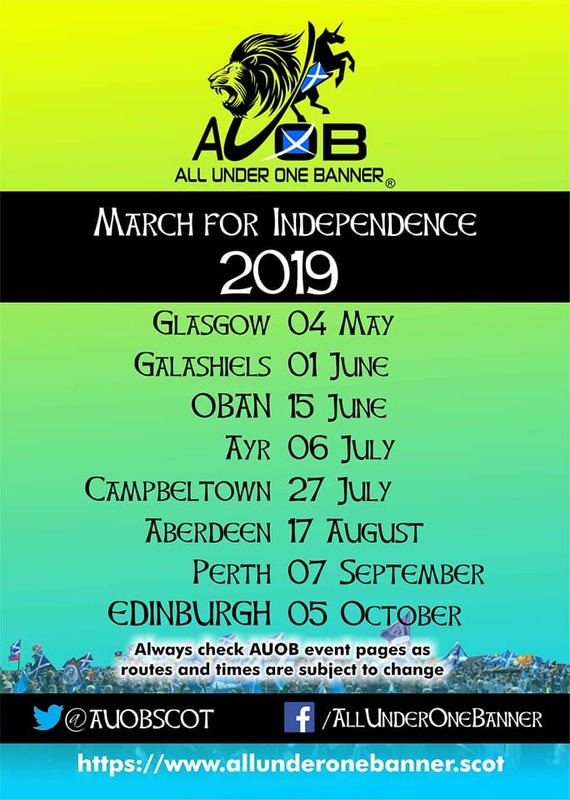 if you can distribute leaflets for the marches. If you haven’t been on a march, they are great fun. Everyone is very friendly and helpful. You can join at any part of the route if you need to cut down on walking. Go with your family. Take a picnic. Take your dog! Here’s a video of the march in Glasgow last year. 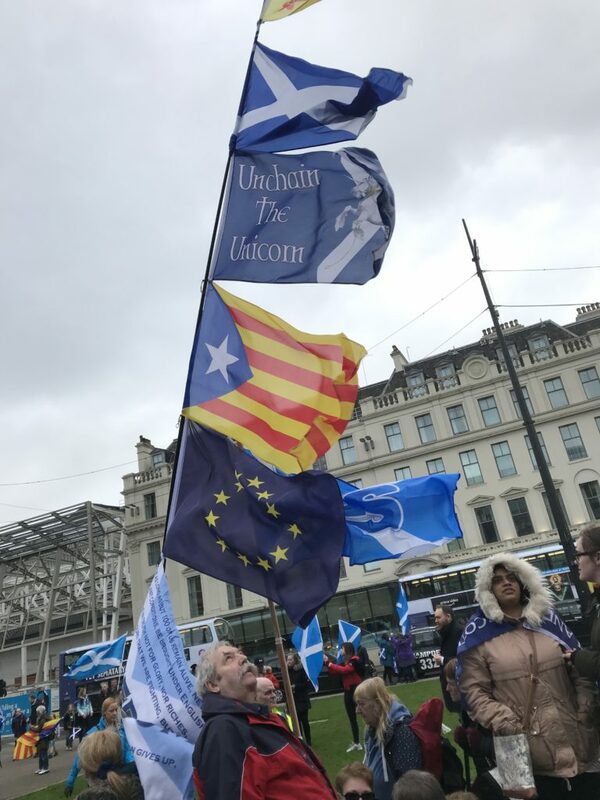 This entry was posted in Indy News and tagged AUOB on 24/03/2019 by MmH. We came across this video on Facebook and contacted the person who created it. He say’s he’s happy for it to be shared anywhere it might do some good. This entry was posted in Pensions, Videos / Audio on 10/03/2019 by MmH. Want to Take Part in BBC’s Scottish Debate Night? 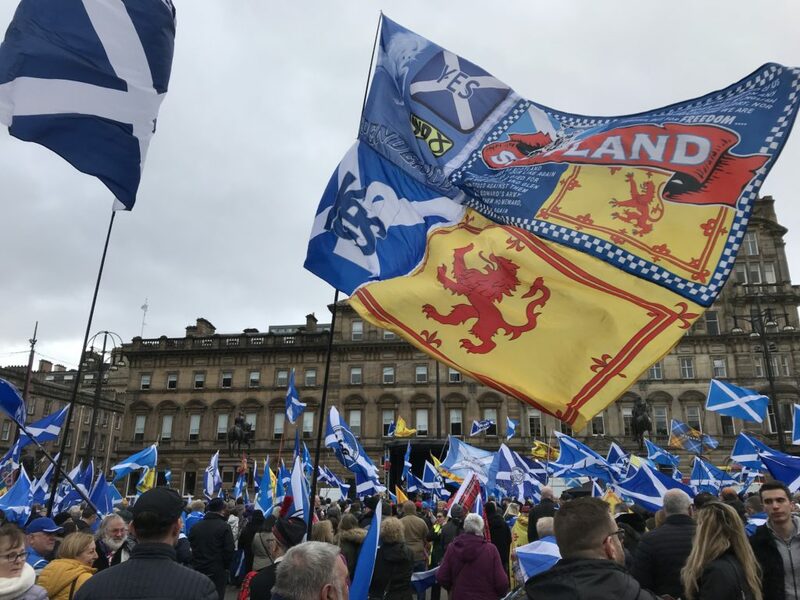 It does seem ridiculous that BBC hasn’t given them a budget to record the programme in far flung Scottish places, like Fife or Dumfries for instance  藍. And don’t they want to hear from Scots in Orkney, Shetland, Hebrides? 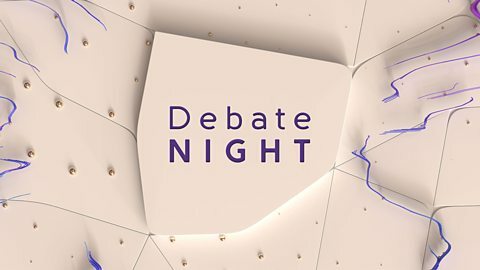 Due to the fact that they don’t have a budget to travel around Scotland, the new BBC Debate Night is struggling for audience members particularly females (and probably viewers) but this is a great way to get some experience of such programmes prior to any independence referendum debates. You are asked your voting record at Scottish Parliament Election, General Election, IndyRef1 and BrexitRef. You are asked if you are a member of a political party, if you are an activist, do you hold any paid or unpaid positions in the party structure. I said I delivered leaflets and was a member. They were happy with that. You can select which week you are interested in. I had a choice of 2 weeks, I chose 6thMarch. Notification of Acceptance You will receive a phone call in the week prior to the show to tell you, you will be in the audience. I received my call on the Monday evening before the show. 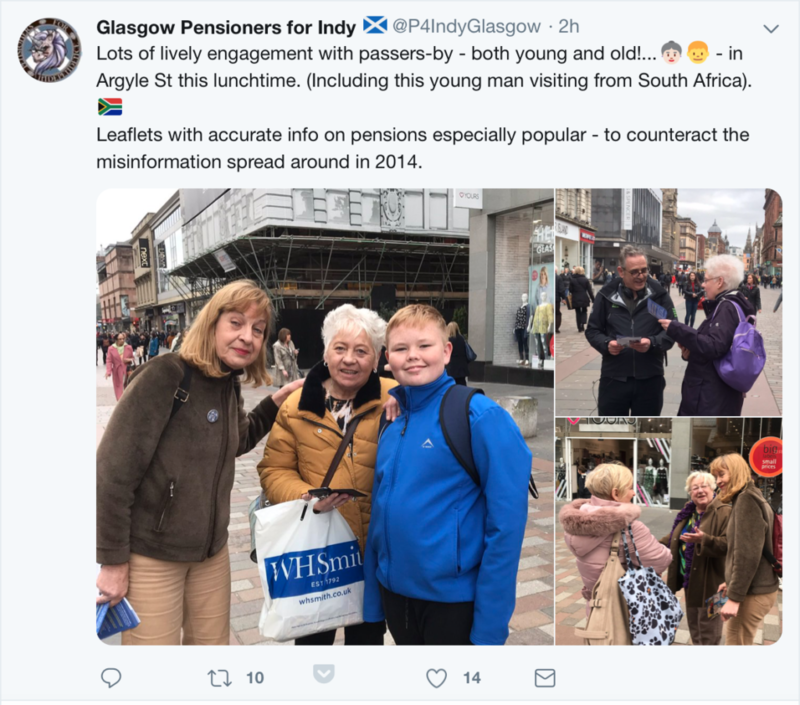 They then confirm with you that you are not a paid member of the party and your involvement is only delivering leaflets. Photo ID required on the day of the show I was shocked to receive an email telling me I require Photo ID to appear in the show. I offered them my work pass ID, they refused, so I had to drive home at lunch time to get my passport and driving licence, just in case they refused one of these forms of ID.. The email also said no logo or emblems on your clothing. Your Questions Questions are 20 words max. You are invited to send two by email. On the night you are again invited to supply additional topical questions. I phoned the BBC on the day to find out the list of panellists on number 03700 100222. Chose selection 2 then 2 again to speak to an operative. 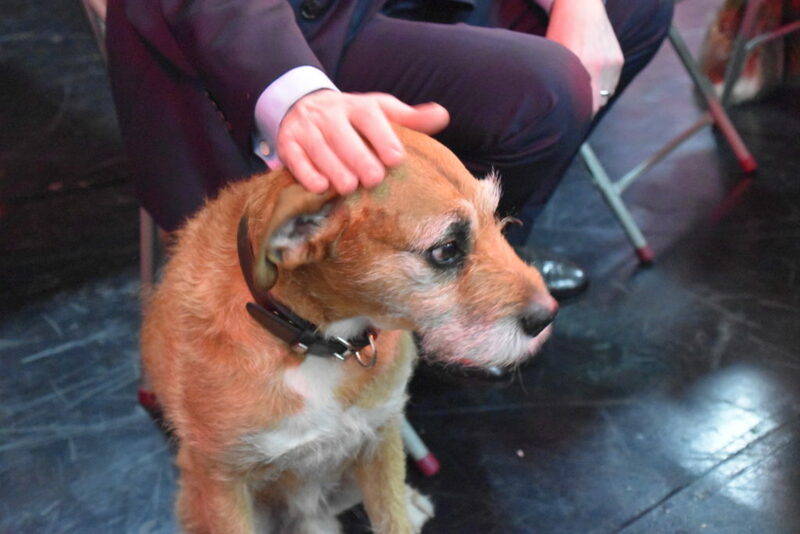 The non-politicians on the show are there for a reason and there will be a question on a topic of interest to them. This week it was Brexit and charities. The Night You are asked to be at the show venue by 6pm and you will not leave before 9pm. If required use the Postcode of EH14 1DI After registering by showing your photo ID, there is a security search using a hand-held device. Similar to an airport. You then enter a seated room with tea and coffee available and toilets are nearby. This time can be used to write topical questions on the cards provided. The audience is then invited into the auditorium. To test the camera angles and sound a series of test are performed. Audience members are asked if they are opinionated and 5 are selected to come and sit on the chairs of the panellists and have microphones attached and a pretend question is asked, each “panellist” and the audience are asked to have a discussion. The audience members who were lucky enough to be selected to ask questions are then identified and positioned in distributed places in the audience. The true panellists then arrive and the show begins with the first question. I put up my hand up early in the first question and was selected to make a comment. I tried to keep my hand up throughout the show but the arm does get sore. You should have a comment handy for each question. Bring a pen and paper into the show and write down points that come to mind as the questions unfold. Do not be afraid to vocalise to show agreement or disagreement with any points made. 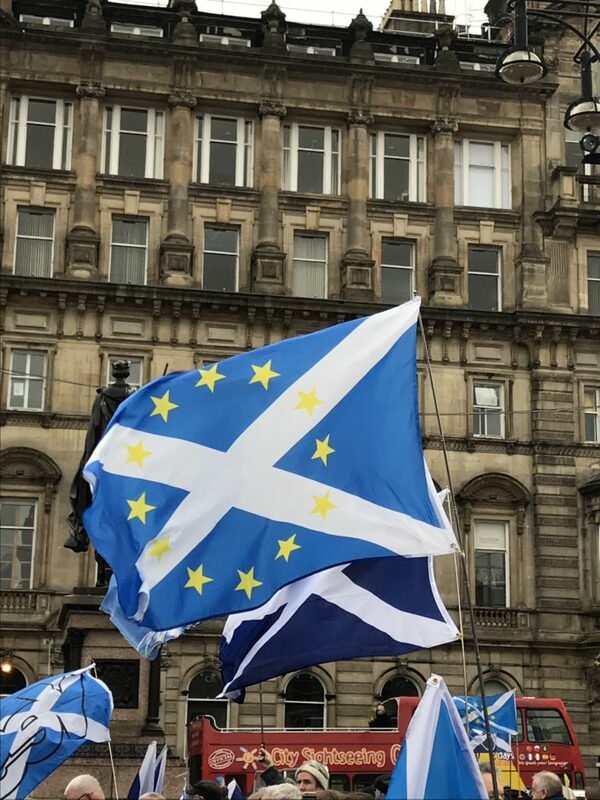 Liz Smith Tory MSP said we voted for Brexit and more than half the audience shouted her down by saying “no we didn’t”. This came across well on TV. Stephen Jardine the host is great. 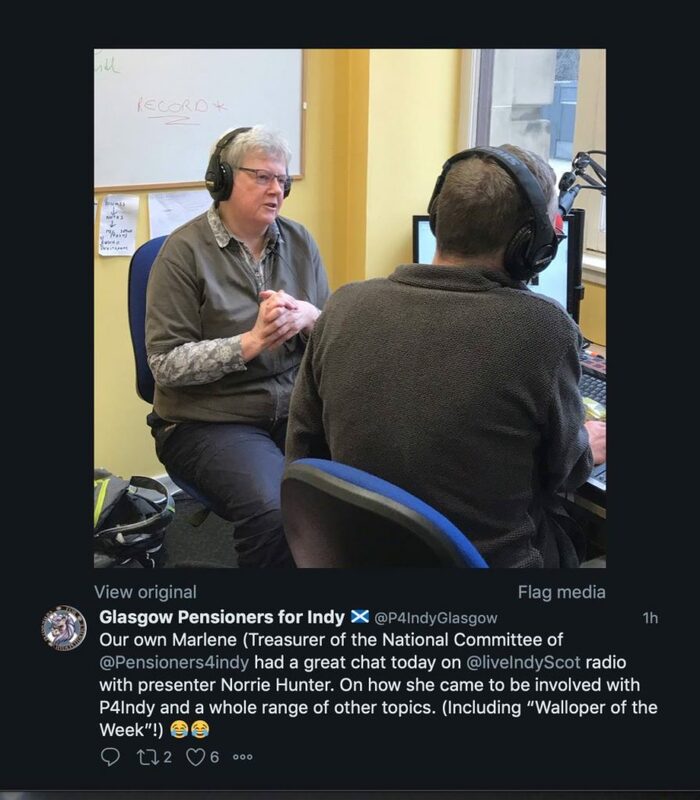 This entry was posted in Indy News and tagged BBC, BBCScotland, Debate Night on 10/03/2019 by MmH.